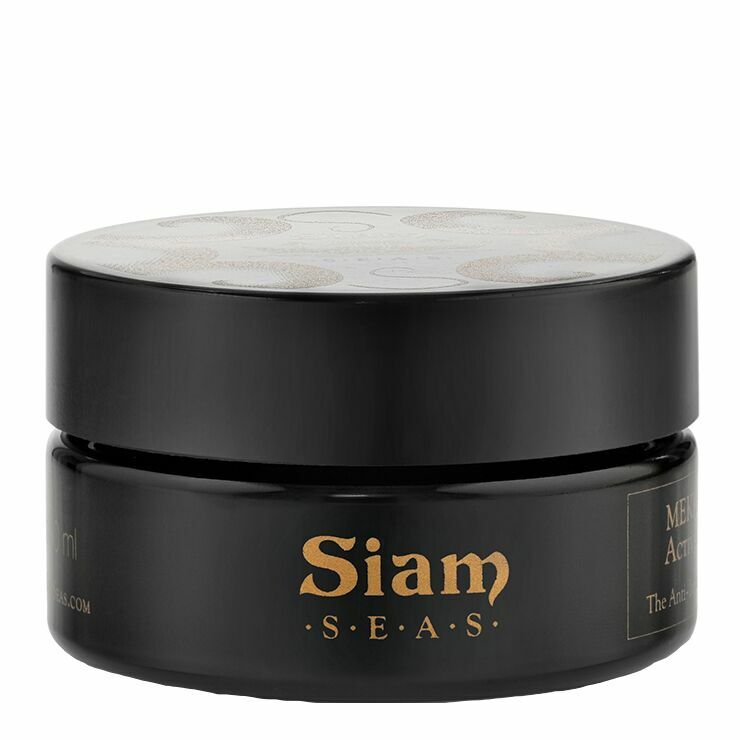 Mango butter and natural oils are used in Siam SEAS MEKHA Herbal Active Cleanser to thoroughly cleanse makeup, dirt, and debris from skin. Raw honey makes skin feel ultra soft and smooth, while Southeast Asian botanicals work to alleviate feelings of inflammation and lend a revitalized sensation. The complexion is left looking bright and clear. Warm cleansing balm between fingers and gently massage onto skin, working in a circular motion to cleanse away makeup, dirt, and debris. Rinse with warm water and follow with toner if desired. Skin is left looking clear and bright. First of all this product smells heavenly like limes and citrus grass! The product is a balm with little granules and it works in multiple ways: as a cleanser, scrub and mask. I use a little product mixed with some water, apply and leave on for half an hour. The ingredients are way too precious to wash off right away. This balm also rinses clean and skin feels incredibly soft afterwards.